Add the carrot to a bowl with a little water, cover it and microwave for about two minutes. Once cooled, mash them and add them to the mashed black beans. Mix together then add the remaining vegetables and mix well. Hi, i'm mostly sending this for the recipe for corn salsa...just stumbled on it tonight. Getting this meatless burger together had the workspace around me smelling like springtime! 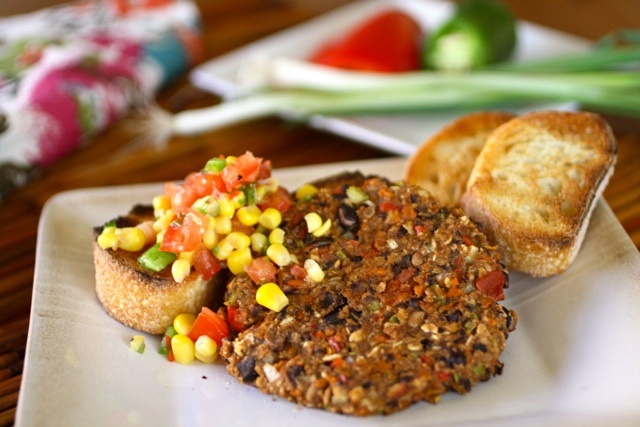 There are bunches of different veggies in these burgers that provide great flavor and texture. The nice thing about this recipe is that you can substitute your favorite vegetables, beans and even spices, which I did. 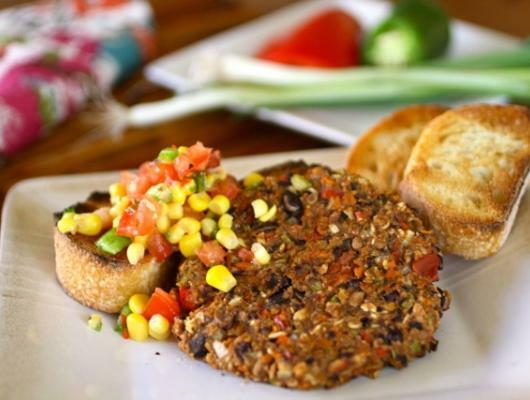 I made Corn Salsa as a topping for the burgers (goes great with chips, too! ), but top them with whatever floats your boat — cheese, avocado, lettuce, mustard… again, that’s the beauty of these burgers! These burgers can be frozen (once cooled) for the week ahead or serve them up, stat!